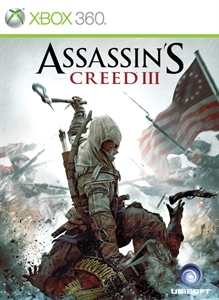 In this Assassin’s Creed® III Naval Warfare Trailer, explore and conquer the open ocean! Navigate tumultuous waters and command your own naval warship, sending your enemies to a watery grave with cannons and an array of naval weaponry. Or should you choose, fight hand-to-hand aboard enemy ships. As Connor, the most complex and technically advanced Assassin to date, you’ll move through the Assassin’s Creed water world with remarkable precision and fluidity, enhanced by more than 1,000 new animations for Connor alone. What awaits is the most detailed and immersive open-sea combat ever experienced through a third-person action character. “Without a decisive naval force we can do nothing definitive, and with it, everything honorable and glorious.” – George Washington Assassin’s Creed III. Ignite the revolution October 30.